Blogging is the buzzword today, and it has been so since last few years. A decade back, Internet was used by professionals, or by teenagers to vent out their feelings and thoughts. On this date, people of all age groups and background have invaded this space, and they have invaded it for good. It goes without saying that blogging has given a new way to earn to people who are good at crafting words out of their opinions and knowledge. The blogging platforms have given them the wherewithal to gain visibility and let their writings be read on a wider platform. Talking of the blogging platforms, there are a truckload of them available free of cost. While scrolling the Internet to choose one, you might as well find yourself scrambling to zero in one. But involving yourself in some mini surveys or extensive research will help you to determine which CMS suits you the best. However, in order to spare you the research, let us make a recommendation – WordPress. Whilst most of the other CMS help you strike the right notes more or less, when it comes to WordPress, the usability and availability of bonus features further elevates. This, combined with various other factors, places WordPress far and ahead. You would be doing your website a great deal of disservice if there are no immediate plans to update your WordPress theme. More often than not, it is either ignorance, or plain laziness that stops people from dedicating few minutes in a month or so to update their theme to a better, higher version. There is more than one benefit to this practice. The older version maybe annoying you with certain glitches you can’t seem to eliminate. And the updates are eyed at such glitches. Then, there are some optimizations made on certain features you use way too often on your blog. But more important than anything else, updating your WordPress makes you less prone to the attacks by hackers. These are folks who are constantly prowling around the Internet and looking for loopholes in the websites for them to make an unauthorized entry in your website. A hacker has a host of reasons to break in to your website. Some of them wants to make heads turn and be recognized, even if by their alias names, as hotshot coders. Some developers do it only for the sake of fun. Things take a serious turn when these hackers intercept your website with an intention to get an access to your data and play around with it with malicious endeavors. In the event you share an animosity with someone, such hackers can go on to eliminate important piece of data that you may not be able to recover, and hence would result in a loss of a significantly useful piece of information. and when they steal the content or information, you know tough times lie ahead. Some hackers even go ahead and place links to their spam websites. While this may not directly impact you, Google keeps an eye on the websites which have spammy RLs on them, and duly punishes them. Search for the highest rated security plugins like All in One Security Firewall that really strengthens the site to thwart the latest attacks and codes that might cause harm to your website, and hence to your Internet stocks. Another ignore utility in WordPress is the suit of plugins which help site admins to bolster the speed of their site to appreciable levels. 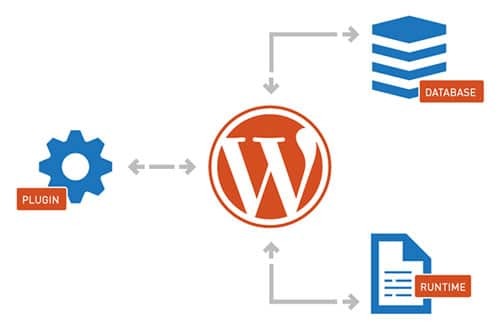 Plugins like WP Total Cache and WP Super Cache are aimed at gauging the factors that render your website’s loading time to slow down, and hence kill the user experience. If your website fails to load quickly on the user’s browser, there is every chance you are putting them off. The patience of your blog’s visitor is most likely to run very thin, and crawling website is going to repel them off. Thus, download these plugins which address the speed issues of your website from the root level. The higher is the speed of the web pages, better is the user experience, which further leads to an increased number of visits. 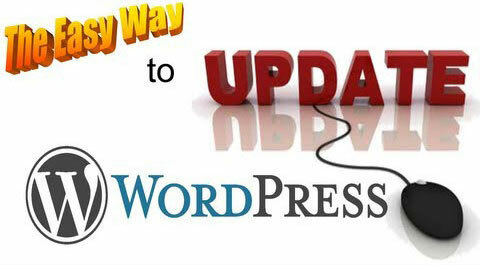 The plugins are available free of cost and it is hardly a task to install them to your WP structure. Blogging is a practice that goes beyond writing good quality content when you wish to make heads turn. And giving your readers a good browsing experience is what everything boils down to. This article is written by Jack White. He is a web developer by profession and a writer by hobby and works for OSSMedia Ltd. He loves sharing information regarding WordPress, Majento, Drupal and Joomla development tips & tricks. If you are looking for Magento Development Company then just get in touch with him.